Lauren Dahl moved to SW Portland from the Utah desert in 2014 with her rock-climbing husband, three young children and two cats. A self-confessed pluviophile, Lauren loves the frequent rain, tall trees, vibrant culture and clean air that Portland embodies. Prior to her time in Utah, Lauren grew up in south Alabama and also spent several years in Aspen and Denver, CO.
Lauren began her real estate career in 2009 and quickly ramped up to being one of her former brokerage’s top agents. She was named a finalist for the sought-after Rookie of the Year award by the Salt Lake Board of Realtors and also became part-owner and landlord of dozens of rental units ranging from single-family homes to a 15-unit apartment building (all of which she served as the selling agent). When it comes to working with home buyers, Lauren is a visionary who understands that the perfect home is more than just a checklist of features. 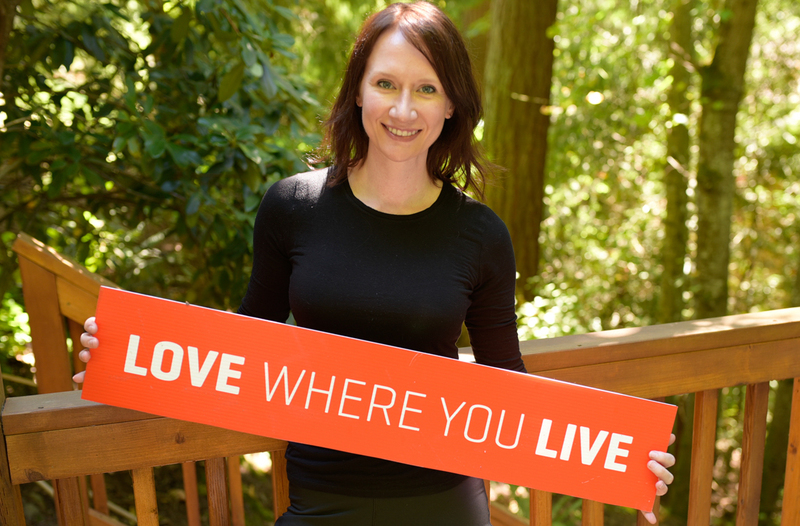 Whether it’s abundant natural light, a tree-covered landscape, an open floor plan or or a minimalist, modern design, Lauren works tirelessly to find homes that complement her buyers’ lifestyles both now and for many years to come. She spends a great deal of time getting to know her clients as well as previewing homes to make the process more efficient and enjoyable for everyone involved. To the benefit of her sellers, Lauren possesses a unique combination of marketing ability, attention to detail and a love for numbers. She is committed to providing her sellers with up-to-the-minute, comprehensive data so she can further assist them in making pricing and timing decisions. She then puts on her marketing hat to get as many qualified buyers through her listings as possible. Finally, she uses her keen negotiation and communication skills to ensure a smooth transaction right up until closing. Lauren also finds great joy in assisting real estate investors (and aspiring investors!) in pursuing buy-and-hold and renovate/resell (flipping) properties. From the first-time homebuyer looking to maximize her return by purchasing an owner-occupied, four-/tri-/duplex to the seasoned investor looking to fund multiple short-term projects, Lauren has the tenacity and skill to make profitable deals happen. In addition to her experience in real estate, Lauren holds a master’s degree in advertising management from the University of Denver and a bachelor of arts degree from the University of Alabama in mass communication. An accomplished sewist and knitter, Lauren also makes most of her (and her children’s) clothes. She teaches online sewing pattern drafting courses, designs sewing patterns and was a Janome sewing machines ambassador for two years before transitioning back into real estate. Catch up with Lauren on her Portland real estate blog and website, laurendahlpdx.com. You can also tune into her YouTube Channel by clicking here. Lauren was wonderful to work with. We found her by requesting more information on a property through Zillow. We were planning a relocation and couldn't look at the house without a 3-hour commute. She went to the house and took a video to share with us. Needless to say she had no idea who we were and if we were actively perusing a home. For the next 2 months she worked closely with us with amazing flexibility due to our distance and schedule. Would highly recommend her services. My wife and I worked with Lauren to purchase our first home this year. We attended a first-time home buyer workshop hosted by Lauren, which was extremely helpful in making us feel confident we were ready to purchase something. We entered the class feeling totally lost and overwhelmed, knowing the market here in Portland can be insanely competitive. We left feeling not only like this was something we could make happen, but soon! We began looking at houses with Lauren shortly after the class, and her guidance was priceless. She taught us things about older I'd have never even thought to look into and made the entire process a breeze, answering every question we had (even when I asked it for the third or fourth time.) I honestly don't know how we'd have done it without her! After only a few weeks, we found a house we fell in love with. I couldn't believe it happened so quickly, but we decided we were ready to make an offer. Having seen houses sell in as little as 24 hours since we started looking, this was a nerve-wracking time, but Lauren's guidance through the offer process got us the house! The support didn't stop there, as she walked us through inspections, arranging further quotes from contractors for work that was found to be recommended, negotiations on repairs, etc. I could go on and on, but the point is...Lauren Dahl at Living Room Realty is amazing. Lauren is a very talented and energetic individual. She helped get us into perhaps the best real estate investment we've ever had. Consequently, we have gotten to know her and her husband well and have always been very impressed with them. Lauren is ambitious (in a good way) and is successful in anything she undertakes. I give her top marks! Lauren was extremely helpful in helping us sell our first home. From pricing to photographing our home, she was amazing. We dealt with an extremely difficult buyer/agent and Lauren made the process tolerable. She was always calm, approachable, and helpful. She spent a lot of time helping to walk us through all the processes and answer all of our questions. We couldn't have done it without her. She went above and beyond in our particular situation and we will always be grateful to her for it. Stain Your Fence – Change Your Life!